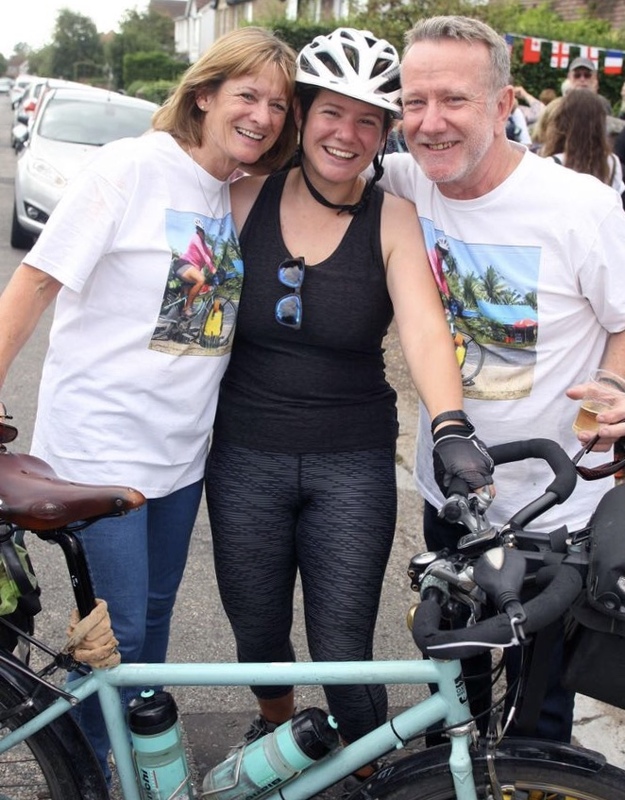 Joining the Tributes Customer Care team recently is Tori Bush, eldest daughter of Chairman Richard Bush, who recently returned from cycling solo around the world. Tori returned last September having clocked up an impressive 25,000 miles in two years, and crossing 33 countries including America, Japan, Thailand, China, and eventually back home through Europe, and Scandinavia. She mostly slept in her tent which she pitched in jungles, deserts, beaches, volcanos and temples, on occasions staying in fire stations and police prison cells (with unlocked doors we hope!). Humorous prose, photos and tales of some hair-raising experiences can be seen in her travel blog littlebluebike.co.uk. Tori did not originally set out to raise money for charity, seeing the trip as a personal challenge, but so many people wanted to show their enthusiasm and respect for her awesome achievement, Richard set up a fund for Tori to donate to a charity of her choice on her return. So far this has raised over £3,000 which Tori has given to Cyclists Fighting Cancer which supports children who are recovering from cancer – see www.cyclistsfc.org.uk. Her job now is out on the road visiting prospects and existing customers. No doubt she will be pleased to field any of your questions on her amazing adventure. Tori has worked for the family business on and off since her school days, so has an inbuilt knowledge of Tributes’ products and business ethos.